LAS VEGAS, Nev. – Right-hander Chris Stratton demonstrated why he was a first round pick in 2012, shutting out Las Vegas 51s through eight dominant innings on Sunday. Despite the excellent performance, the 51s came back late to tie and ultimately handed Sacramento River Cats a 4-3 loss in 10 innings. Stratton put on a brilliant show Sunday afternoon against the 51s, pitching eight shutout innings and allowing just 5 hits and no walks while striking out a personal season-high six. He threw 96 pitches in the outing, 64 of them for strikes, and did not allow a baserunner to reach second base. Stratton retired the final ten batters he faced. The start was arguably the best by a River Cats pitcher this season, with Ty Blach’s 8.1 inning, 2-run outing in Colorado Springs the only other eight-inning start by a Sacramento pitcher this season. 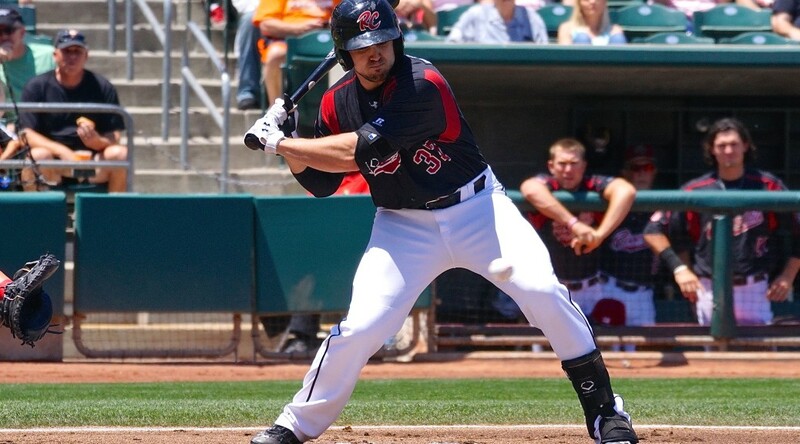 Stratton contributed at the plate, as well, picking up his first hit at the Triple-A level. Overall, he was 2-for-3 with two singles. The River Cats threatened early with five singles through the first two innings, but were unable to produce. Their first run came on Ryan Lollis’ third-inning homer, a line-drive shot to right field to give Sacramento a one-run lead. Lollis went 3-for-4 with a home run, a walk, and two singles as the number three hitter in the lineup today. Stratton watched from the bench as the 51s scrapped across a run in the bottom of the ninth to force extra innings. 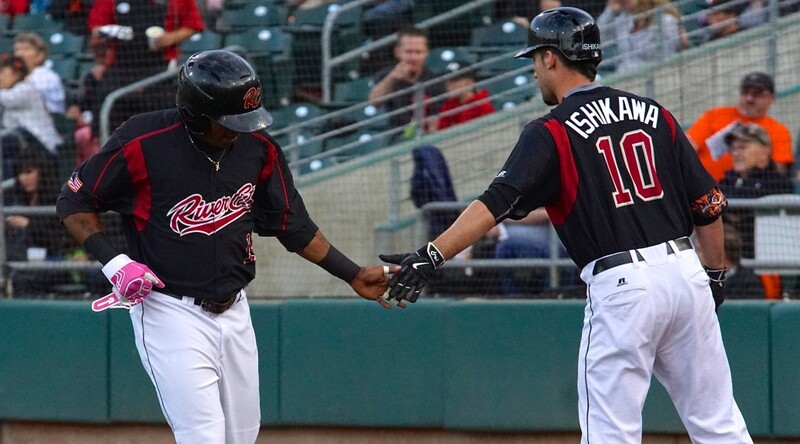 After an error – the River Cats’ first in four games – put the 51s’ Wilfredo Tovar at third with no outs in the inning, Brooks Conrad drove a sacrifice fly to center to score Tovar and tie the game at one. The River Cats put two on the board in the tenth, taking a 3-1 lead on an RBI-single from Lollis and RBI-groundout from Darren Ford. Las Vegas refused to go away, though, scoring three times in the bottom of the inning on Anthony Recker’s two-run home run and an RBI-double by Conrad. 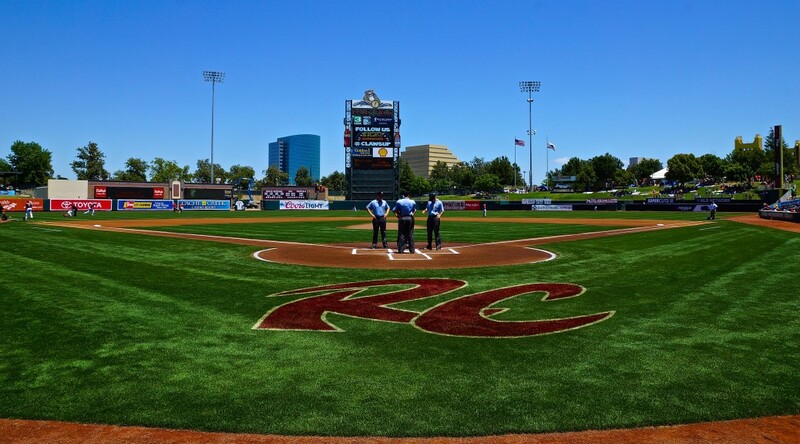 Today marked the River Cats’ ninth extra inning game, the most in the PCL. They are now 4-5 in extra-inning contests. The River Cats will look to avoid the sweep in tomorrow’s finale against the 51s. Sacramento will send Clayton Blackburn (2-3, 4.23) to the mound, while Las Vegas will counter with Tyler Pill (2-4, 6.78). Blackburn hasn’t started for Sacramento since 6/9, but has made three relief appearances since then. 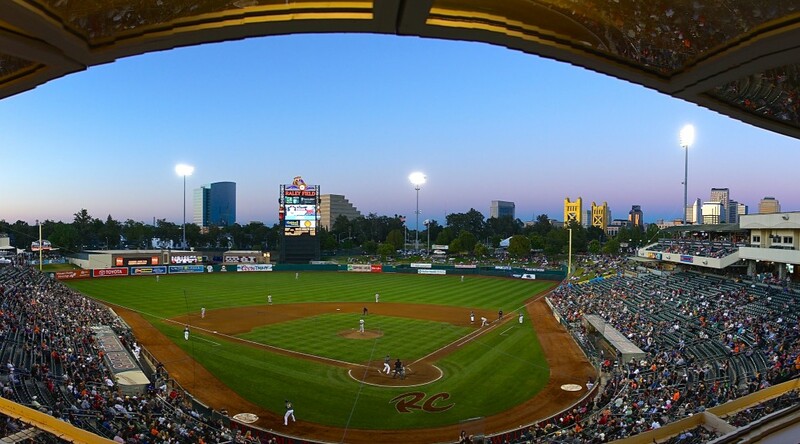 First pitch is set for 7:05 p.m.
FRESNO, Calif. – The Sacramento River Cats evened the series at one apiece with a 1-0 win in Fresno Wednesday night. Sacramento’s second shutout win of the season – their only other shutout was on Opening Day – was sparked by a phenomenal performance from starting pitcher Nik Turley and closed by Mike Broadway. Turley was a major factor in the shutout, putting together his third quality start of the season. He finished his evening with no runs on 2 hits and 1 walk with 4 strikeouts in 6 innings. Turley retired 12 consecutive batters, spanning the second through sixth innings. With the win, Turley moves to 2-2 on the season with a 6.59 ERA. The bullpen combined for three scoreless innings behind Turley, highlighted by the return of Mike Broadway to the Sacramento relief corp. In his first appearance back from San Francisco, the hard throwing right-hander tossed a scoreless ninth, retiring Grizzlies 1-2-3 as he picked up his sixth save of the season. Broadway spent the last week with the San Francisco Giants, making his Major League debut on June 13th vs. the Arizona Diamondbacks. He threw a scoreless inning, including retiring All-Star first baseman Paul Goldschmidt. River Cats pitchers allowed just two hits in the win, a new season low. Prior to tonight, the fewest hits allowed was three, also against Fresno. Sacramento put leadoff hitters on base in six innings and collected ten hits from six players. The River Cats jumped out to a 1-0 lead after starting off the third inning with a double from Ryan Lollis, who was eventually sent home on a wild pitch from Fresno’s Jake Buchanan. After five scoreless innings, the River Cats scored again, thanks to another Lollis double. The designated hitter led off the ninth with a double to right and later scored on Adam Duvall’s single, putting the River Cats up 2-0. Matt Cain (0-2, 4.50) will make what is expected to be his final rehab start in tomorrow night’s series finale at Fresno. In his last outing, Cain threw 6.2 innings and gave up 5 hits, 2 earned runs, and no walks while striking out 6. Fresno will counter with Brady Rodgers (5-3, 4.55). First pitch is set for 7:05 p.m. (PT). 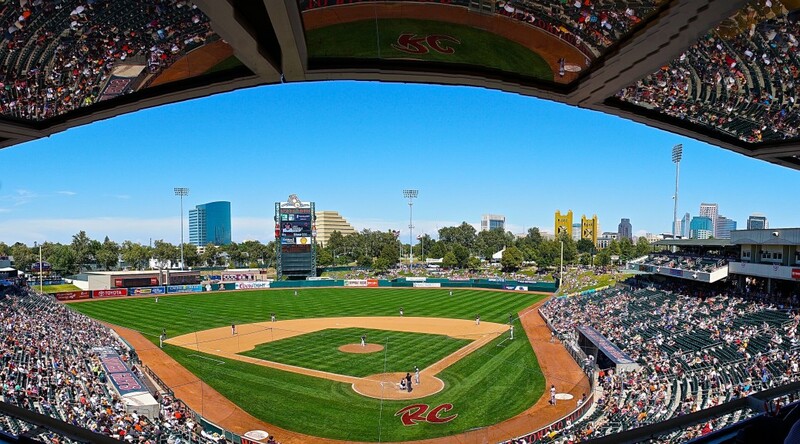 FRESNO, Calif. – The Sacramento River Cats came out of the gate swinging Tuesday, but it wasn’t enough to take the series opener with the Fresno Grizzlies as they lost 6-2. 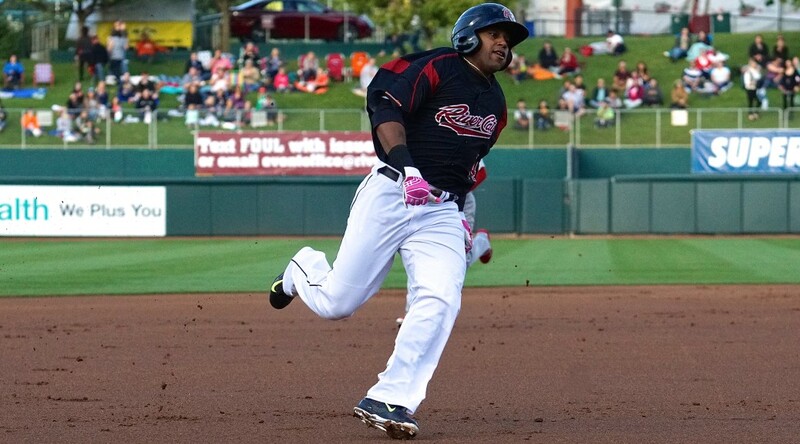 Darren Ford and Travis Ishikawa provided early offense with each of them hitting a home run in the first two innings, but defensive miscues allowed Fresno to counter and take the lead and the victory. Sacramento wasted no time getting on the board, as Ford took the first pitch of the game deep over the left field wall and gave the River Cats a 1-0 lead. The home run was Ford’s sixth of the season, just three shy of his career high. In the second, Sacramento recorded another leadoff home run as Travis Ishikawa started off the inning with a long home run to right. Ishikawa finished the game 1-for-3 with the home run and a walk. It was an uphill climb from the start on Tuesday, as the defense recorded 3 errors in the first three innings. Fresno recorded 3 hits in the second – with the aid of the Sacramento fielding mistakes – and were able to plate 4 runs to take the lead. 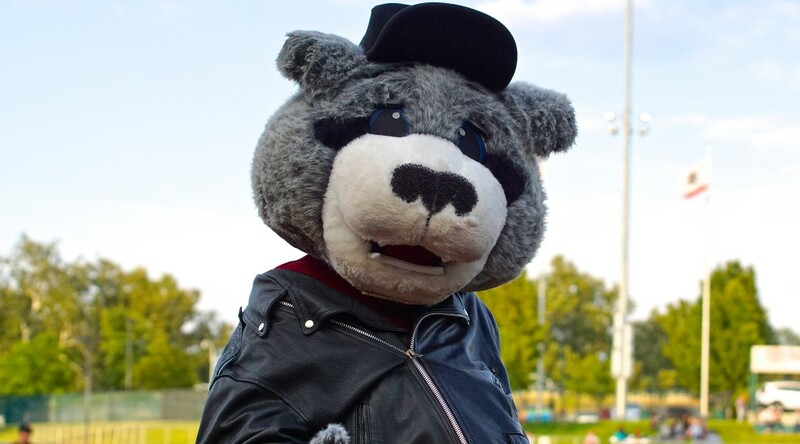 The Grizzlies would add another run in the third, but the River Cats avoided additional damage after Fresno had loaded the bases with nobody out. Chris Stratton was not at his best Tuesday, lasting just 2 innings before handing things over to his bullpen. He finished the day having allowed 4 runs (1 earned) on 4 hits and 2 walks. The Sacramento bullpen was taxed in the series opener, having to put in 7 innings of relief while using 4 pitchers. Left-hander Jack Snodgrass pitching 3 innings of relief allowing 1 run on just 2 hits, walking 2 and striking out 3. Luis Cruz earned the win for the Grizzlies, pitching 7 innings while allowing 2 runs on just 4 hits on 3 walks while striking out 6. Cruz was able to bounce back from the early home runs, retiring 8 of the last 10 batters he faced. 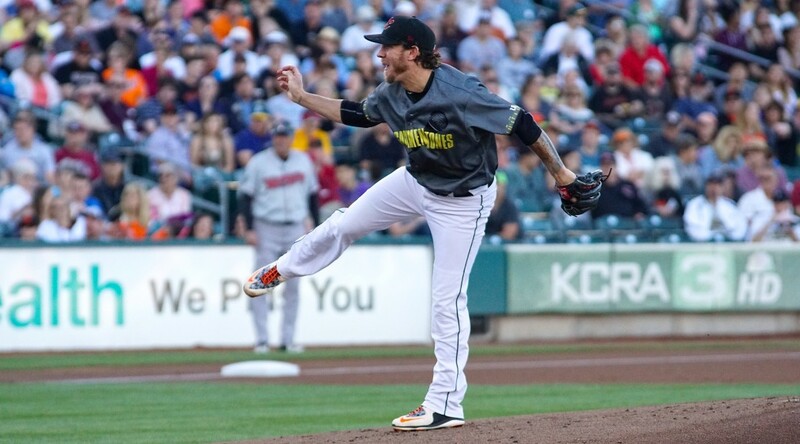 Sacramento will get a familiar face back in their bullpen tomorrow night, as the River Cats’ save leader Michael Broadway was recently added back to the roster. Broadway appeared in pitched 4.2 innings with San Francisco, recording a 1.93 ERA with 4 strikeouts. The River Cats will take the field Wednesday, looking to even up the series with the division leading Grizzlies. It will be left-hander Nik Turley (1-2, 8.34) going for the River Cats. Turley is coming off one of his best starts of the year, having pitched 6.1 innings while allowing 2 runs on 4 hits against the Reno Aces. Opposing him will be righty Jake Buchanan (3-1, 4.75) for Fresno. First pitch is scheduled for 7:05 p.m.